If you own a BMW, you know that the automaker is generally known for its high quality standards. Even when it comes to their used vehicles, BMW has maintained a reputation of making cars that have a long life. However, in the last several years, the German automaker has revealed that the BMW 7 Series has transmission problems. Some model years have even been recalled due to this defect. If your BMW is experiencing problems with the transmission or any other part of the engine, you’re well advised to get it to a qualified mechanic as soon as possible. The challenge is to find a repair shop that has mechanics on staff with the expertise to work on these vehicles at a reasonable price. Fortunately, there’s a local shop in San Diego that fulfills both requirements. TransMasters Transmission and Auto Care, with location in Miramar, is your one-stop-shop for all of your BMW needs. Their highly trained technicians can do everything from simple fluid changes to bigger problems like rebuilding transmissions. Of course, you always have the option of taking your car to a dealership for maintenance or repairs, but we feel TransMasters is a better alternative. At our shops, you’ll find honest mechanics trained in performing quick and thorough diagnoses of car problems. Not only will they be able to pinpoint the issue, but they’ll give you a free, low cost quote on the spot. With in-house transmission remanufacturing and rebuilding facilities at both of our San Diego locations, we’re able to test the transmissions right onsite. We also keep a large inventory of parts, so there’s no need to take the extra time required to send out for them. The bottom line is that we can fix your BMW more quickly and at a better price than you would find at the dealership. 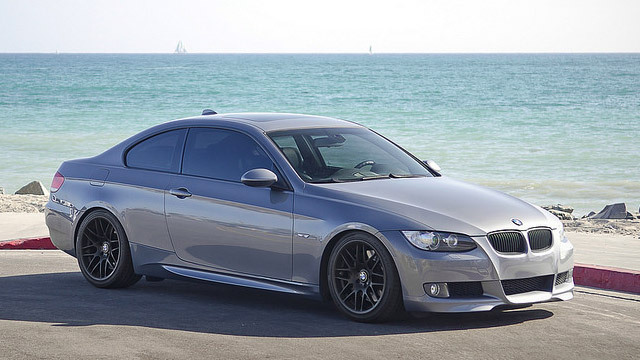 Looking for a shop you can trust with your BMW 7 Series transmission repair in San Diego? Make an appointment or drop into the TransMasters shop in Miramar, and speak with our trusted BMW specialists. We guarantee you’ll be happy with the excellent service you get at a price you can afford.